What Are Grades of Magnets? When shopping for neodymium magnets you will meet a term called ‘grade’ which is typically shown as a capital N followed by a two digit number and maybe some extra letters. Look like, N45, N52, 38EH,40UH,30SH,33M, 33H. But what are grades of magnets? OK, Let’s explain it to you. About the grade, it is a measurement of how strong the magnetic material used in the magnet is. People like to call it how concentrated the magnet is because a magnet’s total strength depends on much more factors than just the grade. But if you have two magnets with the same size and shape. And one is grade N45 and the other is N52, the grade N52 magnet will be the strongest since it is more concentrated. The N stands for Neo which is short for neodymium and tells us that this is, of course, a magnet of the neodymium type. There are generally four types of magnets commercially available but we will focus on neodymium magnets and compare them a little with the ferrite magnets, which are the most common. The number after the N stands for maximum energy product in MGOe. It is really complicated for some people – and we think of it as the maximum strength of the magnetic material. And then, there one question. Does the N45 magnet is a neodymium magnet with an energy product of 45 MegaGaussOersteds? The answer is Not necessarily. 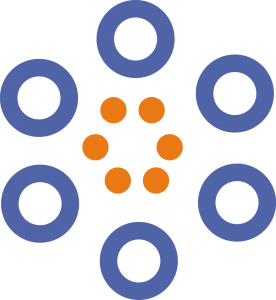 Neo magnets are made of a crystalline structure that is impossible to make perfect every time in all of the magnets at an atomic level. So no two magnets are exactly the same. Just like that no same leaf in the world. The industry has therefore accepted a range for each grade. The final energy product for an N45 magnet is between 43-45 MGOe. In the high-grade N52 – where the limit of mass production seems to be at the moment – it is even harder to achieve perfection. Especially in larger magnets. So if you just want to by a big size customize 100% N52 Neodymium in big quantity, the price will be very high. And hard to find the supplier. Most of the time, the range is sometimes 49-52 or even 48-53. Check the seller’s specifications. 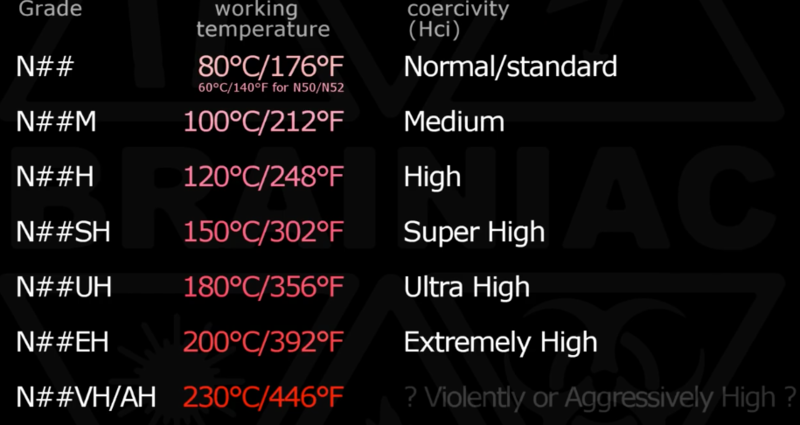 These ranges for each grade also makes it very hard to predict how a similar sized N52 magnet is stronger over an N45 magnet. It isn’t just 16% but could be at least anything between 11-21%. In practice, it can be even lower. A practical rule of thumb is 1% more pull-force for every extra MGOe. That is 7% more strength in an N52 over the similar sized and shaped N45 magnet. In fact, they are both very strong. Let us just compare their strength with the ferrite magnets. That is most of the people are familiar with the fridge magnets. Let’s say that the ferrite magnet is equal to the strength of a beer. How strong is a neodymium magnet then? Well, we think it’s more like vodka. 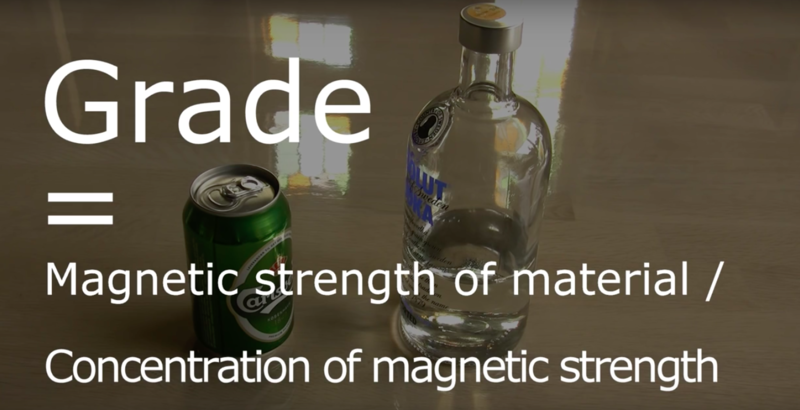 You can get work done with ferrite magnets – like beer will get you drunk. 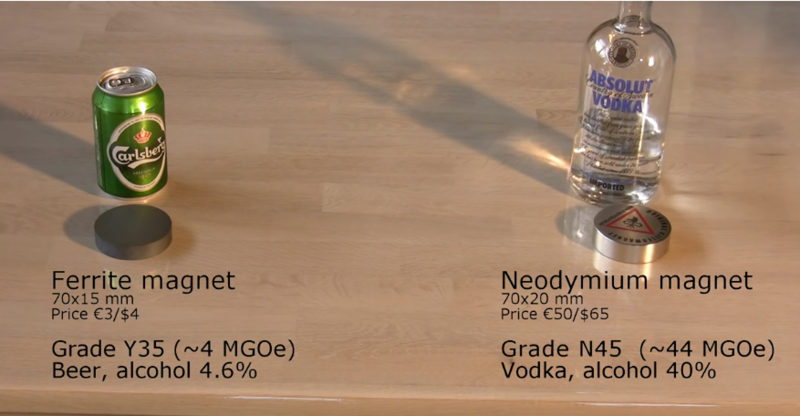 You just need a lot bigger volume compared to neodymium magnets and vodka. By the way: Do not drink while handling large neodymium magnets. They can crush you beyond repair. ok – let’s just test all this theory with a real life measurement. Using a small steel bracket and a fish weight scale we will test how much pull-force it takes before the magnet gives up. Hmm… the ferrite magnet gave up before we really got started. Now I’ll battle the neodymium magnet. Now that’s what we call a magnet. Given that this was a crude ghetto- style test and the ferrite magnet used was 50% thicker, we think it is fair to conclude that as a rule of thumb neodymium magnets are on average ten times stronger than ferrite magnets. So the conservative rule of thumb for comparing neodymium grades can’t be used when comparing neodymium and ferrite magnets. They are simply in different leagues. Finally, let us explain the extra letters that sometimes are at the end of the grading. These are codes for how well the magnet withstands high temperatures. 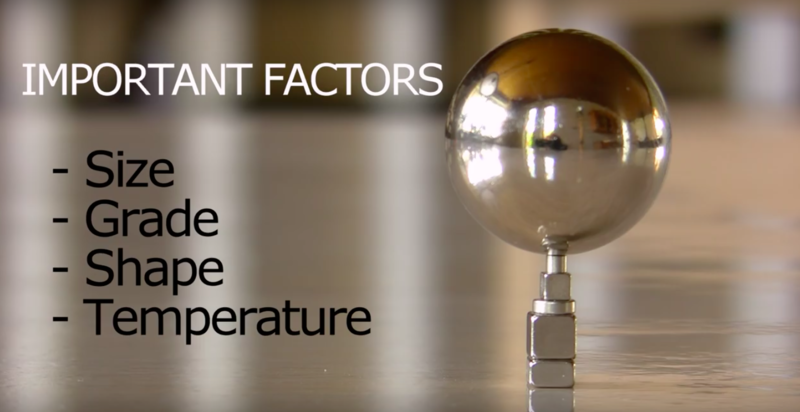 The standard neodymium magnets with grades without letters after the number can generally withstand temperatures up to 80°C. If heated above this they will lose some of their magnetic strength even after being cooled down again. And we can call this anti-magnetic（demagnetize）. And our N38SH magnet can withstand up to 150°C. The disadvantages of these high-temperature magnets are their lower strength and often higher price. To make a neodymium magnet more heat resistant the perfect formula for the crystals: 2 atoms of neodymium, 14 atoms of iron and 1 atom of boron is thinned out by other elements. For example, some of the neodymium can be replaced by dysprosium or praseodymium and some of the iron can be replaced by cobalt. If you want to know more about size against grade you can visit our website. https://www.osenc.com/wp-content/uploads/2018/05/grade.png 705 1374 Joshon http://www.osenc.com/wp-content/uploads/2019/02/环形副本-276x300.png Joshon2018-05-08 07:26:232018-05-08 07:26:23What Are Grades of Magnets?